Today, we are showcasing a number of interesting free resources for you to download as well as include into your design toolbox. These free stuff are photoshop brushes that are detailed with lots of vibrance and movements – the swirl brushes. Swirl brushes are composed of smooth, swirly and curly shaped elements. They may not appear to be impressive in their presentation however once you insert these vintage and artsy shapes in your layout, they make the overall design look enchanting. 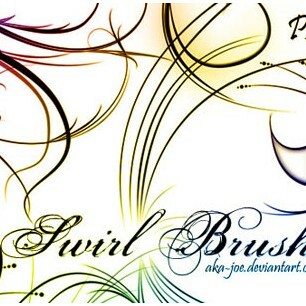 These swirl brushes can be used as borders in flyers, posters, brochures and different print materials and illustrations. They are also great to use when making decorative web designs, twitter backgrounds and ornamental wallpapers.